On the Kerala coast, an hour south of Cochin, Marari Beach Resort is set in 36 acres of lawns, lotus ponds and coconut groves, threaded through with stone-flagged pathways. A windbreak of palms runs the length of the property, reducing the sometimes gusty sea winds to a cooling breeze. The accommodation is modelled on the fishermen's dwellings of Mararikulam, a fine balance between traditional form and modern function. The roofs are palm thatch and the concrete base keeps the air conditioning in and inquisitive insects out. Bathrooms too combine modern fixtures with the traditional Kerala open-roofed style. The little taps outside each cottage are another local touch. The fishermen use them to wash the sand off their feet and guests can do likewise. Do nothing on the beach, take long walks or bicycle rides and definitely take time to stroll down to the village and explore. There are regular cookery classes most evenings, so guests can learn and enjoy Kerala cuisine. There's also the organic farm experience to enjoy. Marari Bech Resort has a full size swimming pool, beach volleyball and tennis for the more active. Ayurvedic massages and yoga classes enhance relaxation. Open: Marari Beach Resort is open all year. 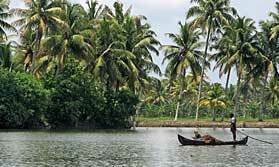 Location: Marari Beach Resort is located on the Kerala coast near Alleppey and 88kms from Cochin airport. Rooms: The hotel offers spacious accommodation in garden villas, pool villas and deluxe pool villas, the last 2 with their own plunge pools. The bathrooms are built in traditional Keralan style with showers that are open to the sky. All rooms are air conditioned and feature minibar and tea and coffee making facilities and all have a private garden. Activities: Sunbathing, swimming in the pool or sea, exploring local villages, cycling, learning about Kerala cooking, bird watching and nature walks. 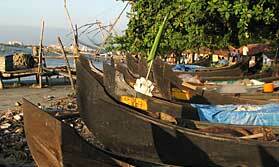 The hotel can arrange various excursions including a temple tour and a country boat ride. Facilities: The hotel restaurant serves Kerala cuisine including fresh fish and seafood and many ingredients from its organic garden. There is an open air beach hut bar. There is a large swimming pool and a tennis court and beach volleyball. There are attractive gardens leading to the beach plus a butterfly garden and a lotus pond. There are resident naturalist guides who can accompany guests on walks in the gardens. The hotel offers yoga and ayurvedic therapies including massage. Guests can relax in the recreation room which has a TV. Souvenirs and local handicrafts are on sale in the gift shop. Communication: There is Wi-Fi internet access at the reception area. "More touristy than the places we had been before, expensive; but a great beachside position, lots to do (yoga, ayurveda, a resident naturalist and a fantastic butterfly garden, a very good swimming pool) and comfortable accommodation." "Another wonderful spot, lovely rooms, people and food"
"The service was so good here that when we stayed at the Imperial in Delhi afterward we all found the service there very poor!" "Excellent accommodation and facilities. Nice touch with the butterfly garden attached to the site. Very quiet and most of the other guests very very elderly - but I assume that was because it was early in the season. A bit isolated so no other choices than the resort restaurant and bar in the evening. It was our first experience of a resort type hotel and personally would not be my cup of tea. Would like a bit more choice and places to go within walking distance - especially since the weather was not great for lying at the pool or beach." "Large spread-out complex on a beautiful beach (although it should be noted there are no facilities on the beach itself). Disappointing to discover that our last evening, Good Friday, was a dry day. If we had known we could have made alternative arrangements. The sea food restaurant, Beach Grill only serves fresh fish and is outstanding (get there earlier whilst there is still a good selection)"